The Olympics are supposed to transcend politics, but this fine study reminds us that the Berlin Games were nothing but political. 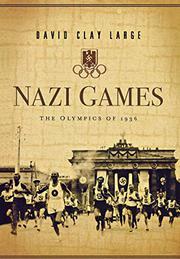 The 1936 Games were also a victory for the Nazis in several senses apart from medal count. They had long reviled the Olympics, whose apolitical ideals and independence from ethnic, religious and racial considerations were anathema to a party founded on racism, whose leaders believed “politics guide everything, and . . . politics is already inherent in sports.” Nonetheless, Hitler was convinced that an Olympiad in Germany would serve his purposes by showing off the Nazi state. He spent huge sums of money refurbishing the capital and building a massive stadium complex; he provided government subsidies so that German athletes could train for a year and a half—Aryan athletes, that is. Long before the Games were played, the Nazi machine disqualified and dismissed Jews, including high-jumper Gretel Bergmann, who very well might have won the event for Germany had she been allowed to compete. (Invited to attend a commemorative ceremony in 1986, she replied, “Although fifty years have passed since my exclusion from the German Olympic team in Berlin, my disappointment and bitterness have only slightly abated.”) As Large (And the World Closed Its Doors, 2003, etc.) shows, the exclusion of Jewish athletes did not go unnoticed. A major boycott failed to materialize, but far fewer tourists attended the Berlin Olympics than had been projected, despite the presence of Hitler supporters such as Charles and Anne Morrow Lindbergh. Undeterred, the Nazis introduced the tradition of the torch relay, funded Leni Riefenstahl’s film Olympia, won favorable contracts from Coca-Cola and IBM and took home bucketfuls of medals. The biggest surprise in Large’s vigorous book, though, is what Jesse Owens had to say about Hitler. An excellent contribution to sports—and political—history.